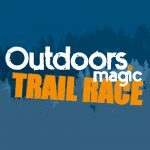 Event registration for the 52nd OMM Race on 26-27 October 2019. Please complete all fields. Elite class minimum 18yrs with at least one competitor 20 or over. All other classes minimum 16yrs with at least one competitor 18 or over. Military teams. Only applicable on the Long Score. Where Military teams compete for the Hutton Trophy. Send me info about the events & products. We understand that teams or the course you have chosen may need to change due to injury or other personal circumstances. Therefore, you are welcome to make changes to your to team or course by emailing emma@theomm.com (up until entries close) and after this date at registration on the day of the event.